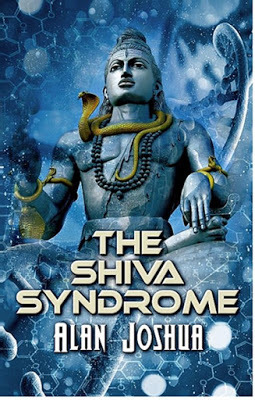 The SHIVA Syndrome, by Alan Joshua, successfully (most of the time) mixes the genres of science fiction, paranormal, thriller, and adventure in a high-stakes tale of world-threatening technology. When a mysterious explosion destroys an entire town in Russia, Beau Walker, a college professor with hidden paranormal gifts, is recruited to help. His recruiter, Burt Grimes, is a former colleague responsible for ending Walker's career as a research scientist. To say they have a contentious relationship would be putting it mildly. Grimes is now a government agent running the SHIVA program, an acronym for Synchronous Hemispheric and Interpulmonary Virtual Augmentation. Beau, along with a cadre of other renowned research scientists, is hustled off to Russia to investigate the source of the event. 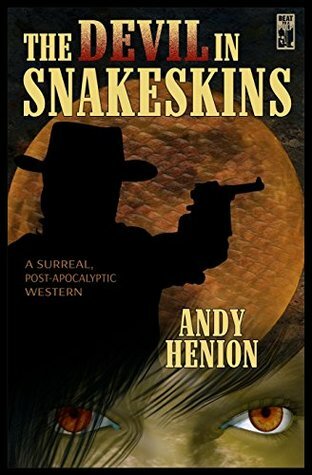 But that's only the beginning of an adventure that will embroil Beau and his associates in a miasma of intellectual, spiritual, political and military intrigue. From the source of the Russian event, to a Top Secret research facility hidden inside a mountain in California, the team unravels the government's para-psychological and gene-engineering experiments intended to create super-soldiers who can kill with nothing more than their minds. It's up to Beau to lead the effort to prevent what could be the end of reality itself. The above summary doesn't do justice to the plethora of ideas and information Joshua brings to the story, from paranormal gifts, to the Joseph Cambell hero's journey myth, to the Santeria religion and the existence of other-dimensional beings created by the power of common human consciousness.... there's a lot going on here. It took me a long time to work through this book. I don't read nearly as much as I used to, being lucky to get in 20-30 minutes a night.. At that rate, and given the nights where I was unsuccessful in carving out the time, this 500 page novel took a while to finish. I take a couple of things away from that. 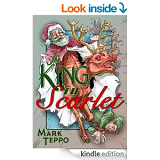 I think the extended reading time keep me from being as draw in to the story as I wanted to be. Consuming it in half-chapter chunks didn't promote continuity or immersion. But on the other side of that, there wasn't a time where I had that irresistible pull to keep reading, You know, that just one more page geas that some books have that keep you up until the wee hours of the morning, whether you want them to or not. I did some quick research to see if this is Joshua's first book, but wasn't able to find anything that made that clear. Alan Joshua is a pen name, and it's mentioned in several places that the author has written non-fiction for journals and books. I was interested in this because the book reads like a first novel and suffers from some new writer problems. It's great in places, not so great in others, and overall in good need, nay, an IMPERATIVE need, of tightening and trimming. Character motivations and behaviors didn't always make sense, with the puppet master's strings too often visible. Nevertheless, there's some good writing here, in a good story that tackles some big and very interesting ideas -- speculations on the nature of reality, consciousness, and spirituality, and how all of that wraps up to make us human, and, in some cases, more than human. If that sounds interesting to you, then The SHIVA syndrome is a worthy investment of your time.